The following article was written by the mother of a teenager who developed bulimia due to her being painfully shy. The report below is unedited. It was kindly submitted by the mother who feels very strongly that stories such as those of her daughters ought to be told so that parents in a similar situation can find the right help for their children. I am writing this in the hope that other parents may find this account when searching for answers to their child’s Bulimia. My wish is that these parents can know that there is a technique that can help towards curing Bulimia and not just provide coping skills to live with the condition. This account is not long, in fact I have tried to make it as brief as possible whilst hopefully getting the message across. It has been written in diary form to keep it as simple as possible. It is quite appropriate that this account is brief because that is how I would describe my daughter’s journey out of Bulimia. New Years day and it is confirmed what I had suspected for a few week’s our daughter is making herself sick. In a way it is almost a relief that we now know, maybe now it is in the open we can get help. Although we are very concerned about health implications it is the underlying cause to the Bulimia that we believe the help needs directing to. o Desire for confidence and comparing herself to other people who she perceived to be confident. · Saw our GP who made a referral to the local Eating Disorder Unit. Was told this could take about 3 – 4 months but in the mean time try to not be sick as much. Was told therapy offered would include coping skills to help deal with uncomfortable social situations. Our daughter was weighed and told that her weight was within the acceptable body mass for height. · Weeks pass and still no appointment. Our Daughter is getting worse. Believes she will always feel like this and what is the point. There is no light at the end of the tunnel for her. · Look into what help she will actually receive when appointment finally comes through. Cognitive Behavioural Therapy, Food Diary’s. From the literature read can see that is the belief that over coming or living with Bulimia can be a hard struggle. Very few people totally overcome it but learn to live with it. I don’t want to condemn my daughter at such a young age to have to ‘live with Bulimia’ I want the Bulimia to be gone which means removing the cause. I don’t claim to be an expert on Cognitive Behavioural therapy and am sure it has positive results in certain situations but how can being taught to cope with certain situations deal with the past events in my daughter life that have finally brought her to situation where she wants to hurt herself by being sick. · Am starting to doubt the route we have taken but feel as much as I believe in alternative therapy’s I would be irresponsible to go down this road. We are brought up to believe that the Doctor knows best. Although I don’t always follow this belief am still worried that I could be playing around with our Daughters health. · Finally get an appointment at the Eating Disorder Unit but still have to wait another 3 weeks. That’s a life time and even with the appointment made do not feel confident that it is the right help for our Daughter. 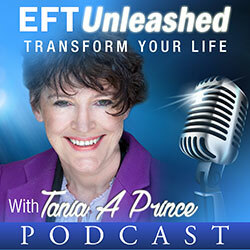 Start thinking seriously about EFT as the road to take and ringing Tania Prince?? · Finally make the phone call to Tania. Although my heart tells me it is the right thing to do am still nervous. · What a fool I was to be nervous. From the moment I explained what the problem was felt such confidence in what Tania said to me. I really believe It is possible to clear all these past events and without them there is no place for the Bulimia. The most important help I want for my daughter is for her to be totally happy in being herself, for her to have the confidence and belief to know she is a wonderful person, for her to enjoy her life as any teenager should. · Talked to my husband about the phone call and up and coming EFT appointment. It is strange but I am no longer worried because I know this is the right road to take. From this moment on things will only get better, I just know it. 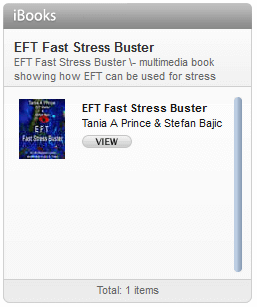 · Day of first appointment which turns out to be the first of only 7 (6 really but I will explain about appointment 7 at the end) Because Tania wants to make some headway in the first appointment, which will increase my daughters confidence in EFT it is going to be for 2 ½ hours. My daughter is quite subdued on the journey there and for want of a better explanation her emotions seemed “flat”. Leave the surgery to return in 2 ½ hours. · Return at end of appointment. The first thing that hits me with a WOW factor was the SPARKLE in my daughter’s eyes. When I left her they looked greyish but now they are sparkling, there is a twinkle in her eyes that I hadn’t seen for a long time. · After first appointment cancelled appointment made at Eating Disorder Unit. · That 7th appointment!!! Left my daughter and after 10 minutes got a phone call from Tania. There is nothing left to work on. So we all went for a coffee and a bite to eat instead. The whole experience from start to finish from my perspective was positive. There was no struggle, no long haul, no having to cope with things. It was a pleasant journey to watch my daughter come out of this dark phase and become the person she always was but afraid to be. 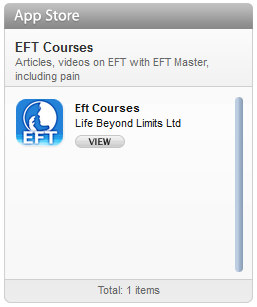 · EFT IS A MODERN DAY MIRACLE THAT EVERYONE SHOULD KNOW ABOUT.